The city of Chicago is dealing with a rash of violence that saw nearly 70 people shot this past weekend. But Republican Governor Bruce Rauner says that sending in troops to help police the streets is not an option. 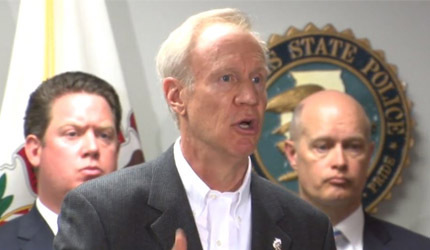 Rauner called the violence outrageous and says creating economic opportunity in the city for black youth and men would be one way to help stem the tide of shootings and murders.